The STC Toronto job bank is back, with two new jobs. The international organization checks our member logins: when it rolled out a new website recently, our logins failed. We couldn’t approve new jobs and members couldn’t see the jobs. Visit the STC Toronto job bank. Employers can post jobs for free and STC Toronto members can see permanent and contract job opportunites. 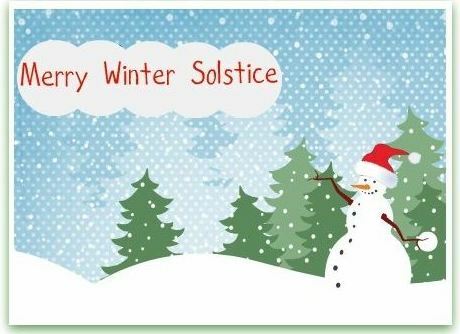 Look here for templates to make holiday cards or winter solstice cards. If you’d like to have your technical documentation evaluated, with suggestions for improvement, enter Canada’s national “tech pubs” competition. This year the Toronto and Southwestern Ontario chapters are holding a competition for all chapters across Canada. Non-members are welcome to enter as well. Submit your online communication or technical publication entry by Tuesday December 3rd. Read more on the STC Toronto Chapter web site (http://www2.stctoronto.org/get-involved/competition). This is a great opportunity to have your work reviewed by both regional and international industry professionals. The best chapter-level entries will be submitted in the spring to the STC International Competition. A win reflects credit on both you and your employers. In August, 2009, they started STC’s Notebook Blog to communicate with members and anyone else who is interested. There’s an STC Ideas forum for members only. I know that feeling! Especially when the Reviewer from Hell wants to squeeze out of me specific information that nobody knows yet before accepting my analysis. Or the Absentee Reviewers think I can just invent it and never need any feedback. Somewhere there is a happy medium. In this blog, Tom Johnson keeps us aware of trends in technical communication. That’s particularly useful if you work alone or if you freelance and there’s no company to pay for your training and skills upgrades. I’ll be adding I’d Rather Be Writing to the sidebar.